Coloring activities are so much fun! Color this Dragon Ball Z printable coloring page and use your imagination. 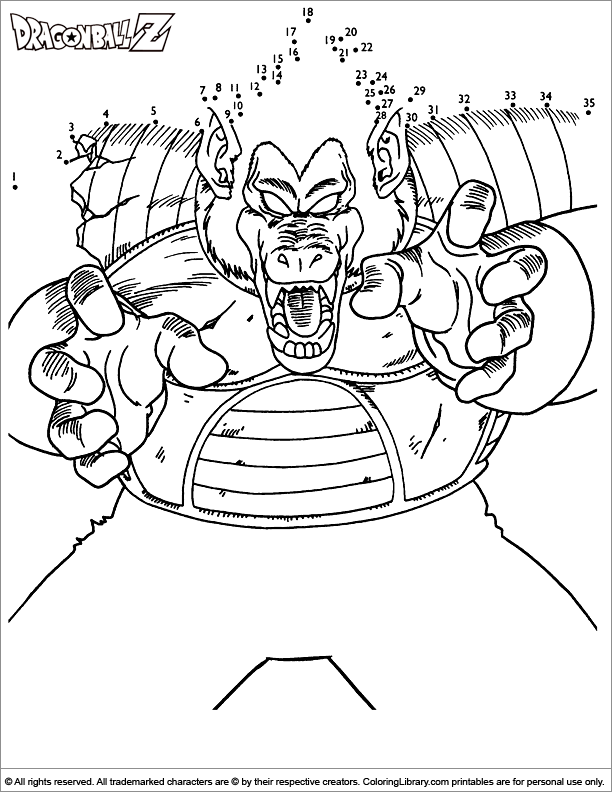 Click on the Print button to get this great Dragon Ball Z coloring page in your collection! Take a look at all the printable Dragon Ball Z coloring pages and collect them all for your own coloring book.